Five people were arrested for a number of offences across east Antrim over the weekend. 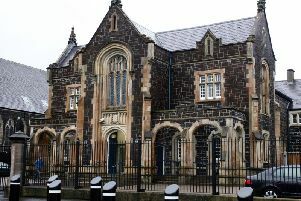 A PSNI spokesperson said: “Since 5am yesterday (Sunday) officers from your local policing team have attended five domestic incidents in Carrickfergus and Larne. “Police made an arrest at each of these incidents for offences including criminal damage, common assault and drink driving. “No one should feel unsafe in their own home or in fear of someone close to them.